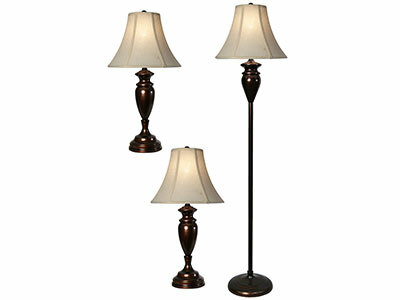 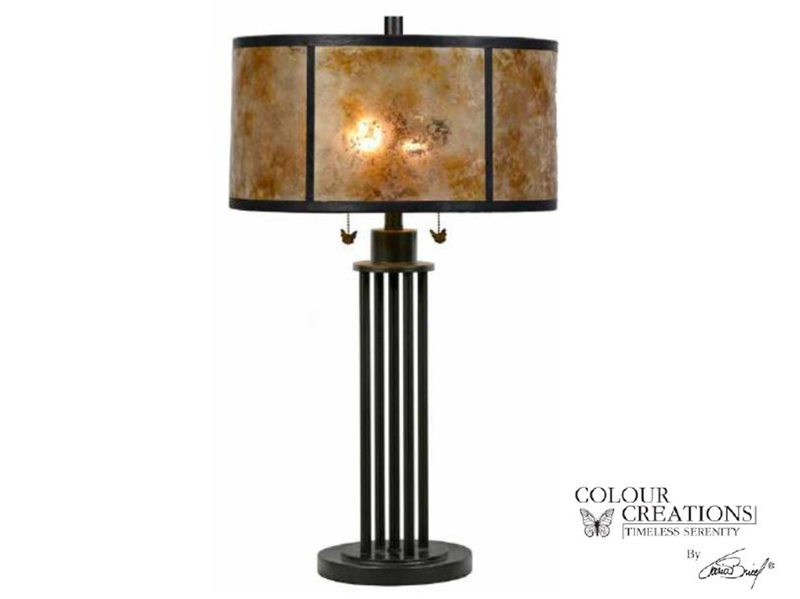 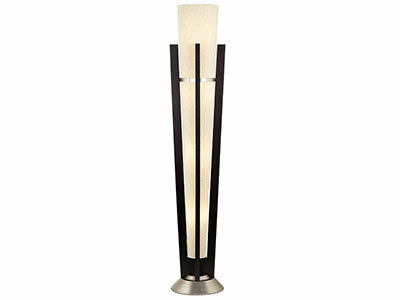 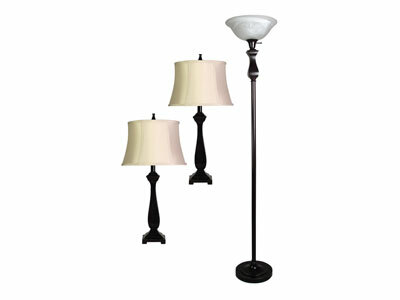 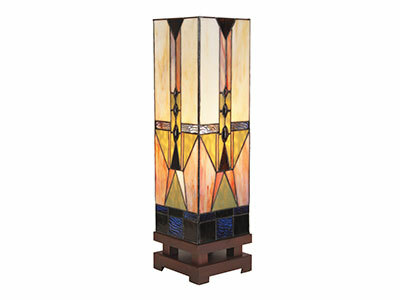 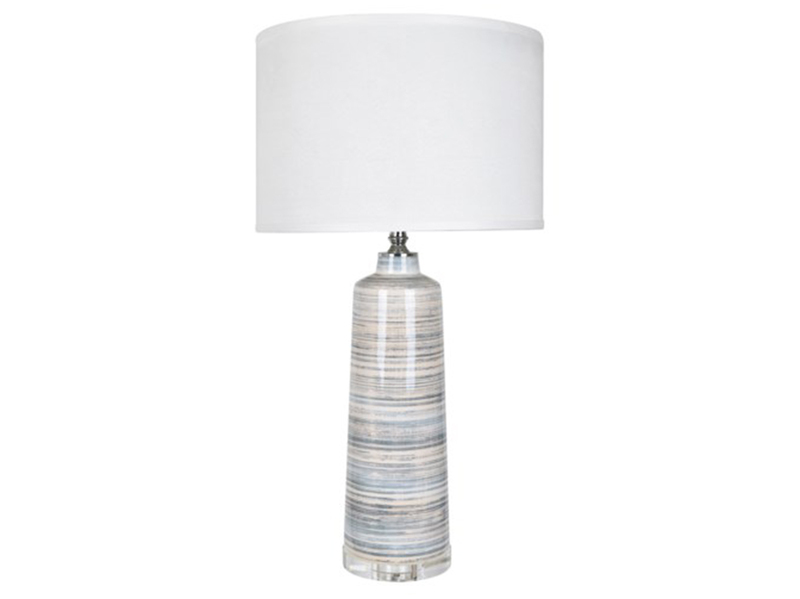 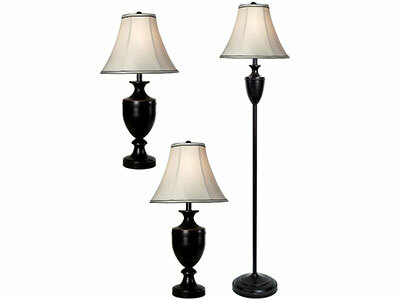 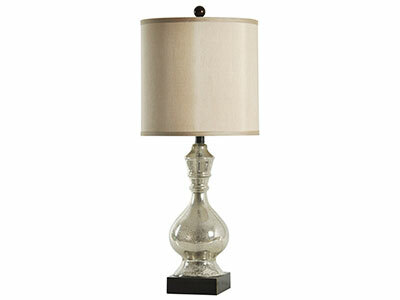 Transitional urn metal set of three lamps with a ivory bell shade. 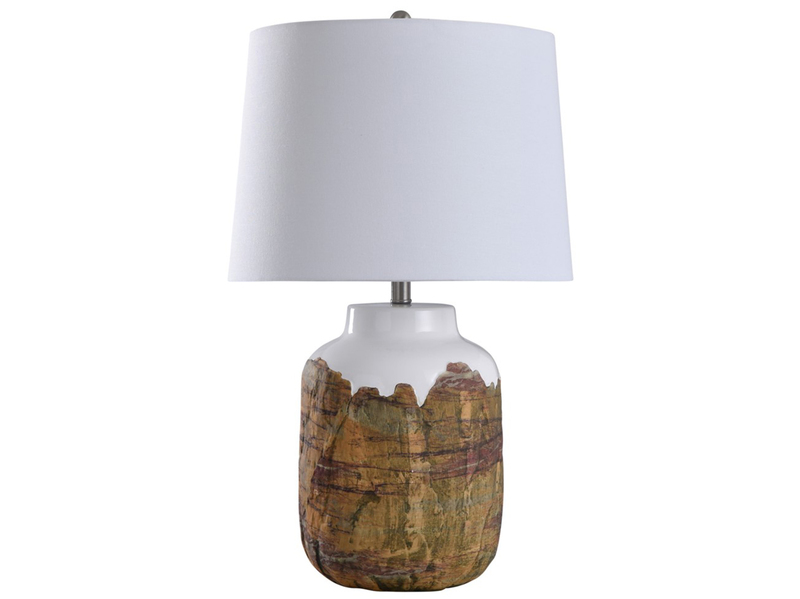 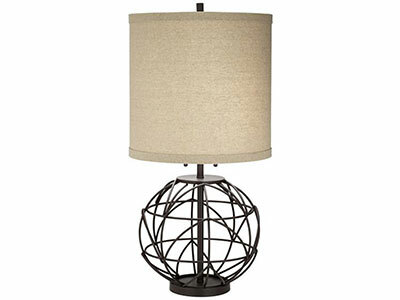 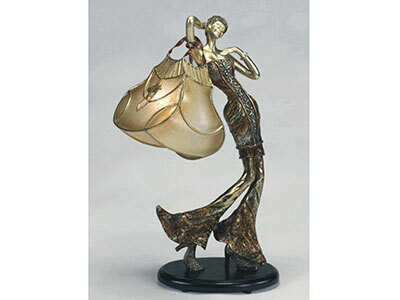 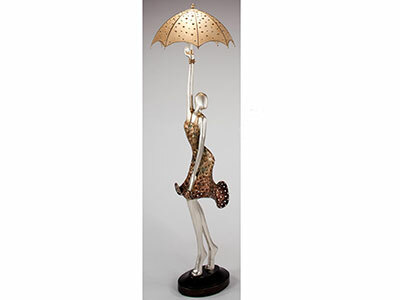 These lamps are finished in bronze. 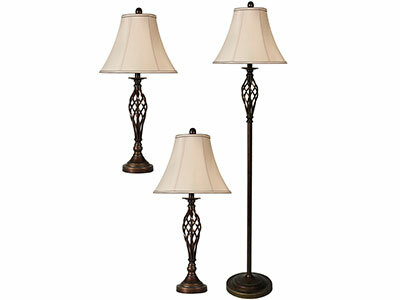 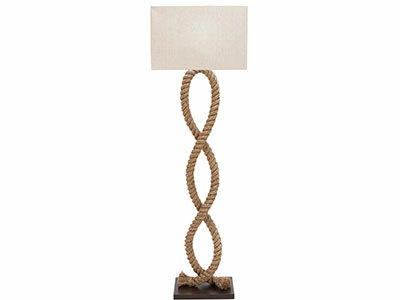 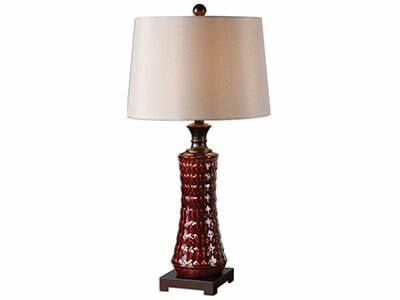 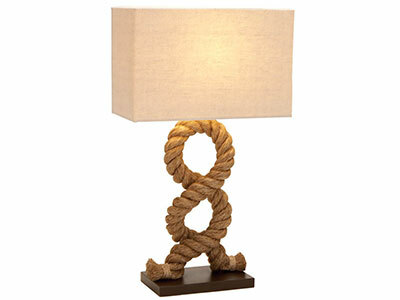 The two table lamps measure 28" high.